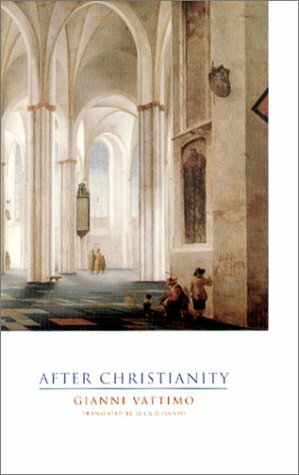 Gianni Vattimo, leading Italian philospher, politician, and framer of the European constitution, addresses critical questions about the future of religion in the postmodern world in this provocative new book. Gianni Vattimo is a member of the European Parliament. He teaches hermeneutic philosophy at the University of Turin. His books in English include The End of Modernity, The Transparent Society, Consequences of Hermeneutics, Beyond Interpretation, and Belief.